When it came time for their window replacement in Minneapolis, MN, we rose to the top of Bruce and Jean’s list. 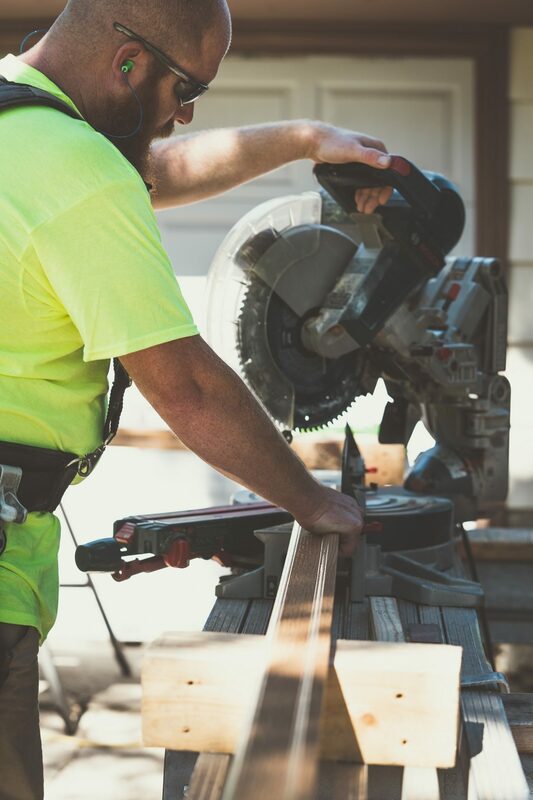 Like many homeowners, they’d executed their home window replacement project in phases. This approach allowed them to prioritize which windows needed replacement first and to adhere to their budget. For this project the couple wanted our assistance with window replacement in a front bedroom, living room, bathroom, kitchen, and back sitting room. 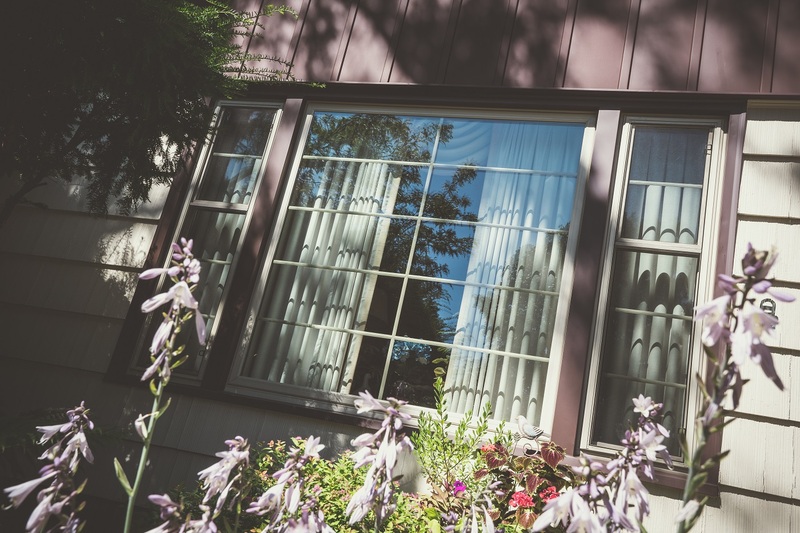 In each instance, SeasonGuard double hung windows were installed. Here’s why this brand and window style was such a great fit for this this 1950’s era home in Windom neighborhood of southwest Minneapolis. The trim used on this project was color matched to the home’s preexisting woodwork. SeasonGuard Window Advantages: Since 1979, one of our company’s core values has been offering our customers products that are guaranteed to last a lifetime. We met with 17 different manufacturers prior to committing to the one that would fabricate SeasonGuard vinyl windows. 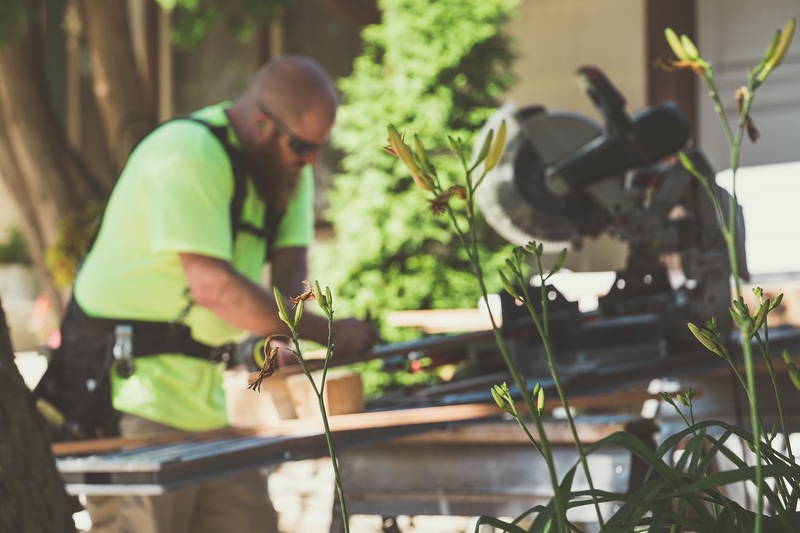 They’re exclusive to Lindus Construction and come with ironclad warranties that offer the utmost peace of mind. We find SeasonGuard windows to be the best windows for the Minnesota climate because of their superior air infiltration ratings. 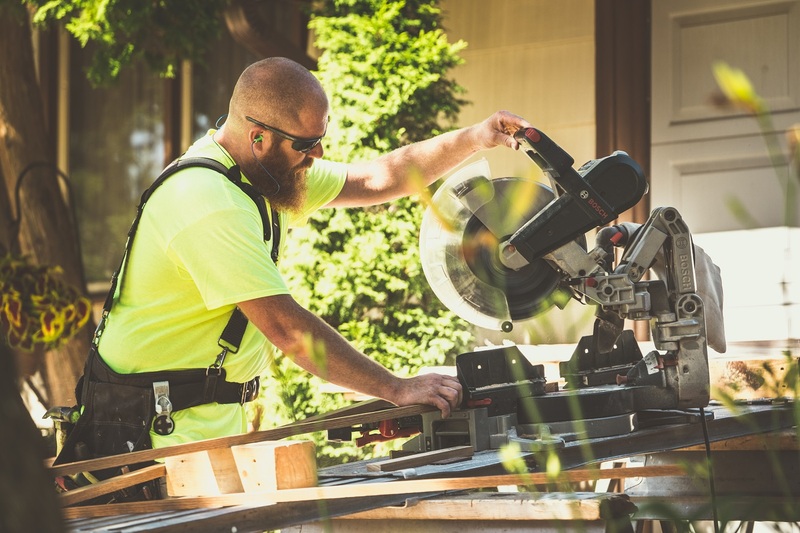 There’s no worry of the SeasonGuard window trim matching the rest of the home’s woodwork. That’s because we have our own custom stain shop that has the ability to create a custom color match. SeasonGuard double hung windows offer 27% more visible glass than similar brands, eliminating box-like frames that detract from a window’s aesthetics. Bruce & Jean’s Minneapolis window replacement project included lifetime warranties on glass breakage, seal failure, workmanship, leakage, color, and finish. The couple knew they were in good hands because our window installers work specifically in that department instead of rotating. This allows them to have a working understanding of air and water infiltration. Another area that offered peace of mind was the recessed pick resistant lock that each SeasonGuard window is equipped with. 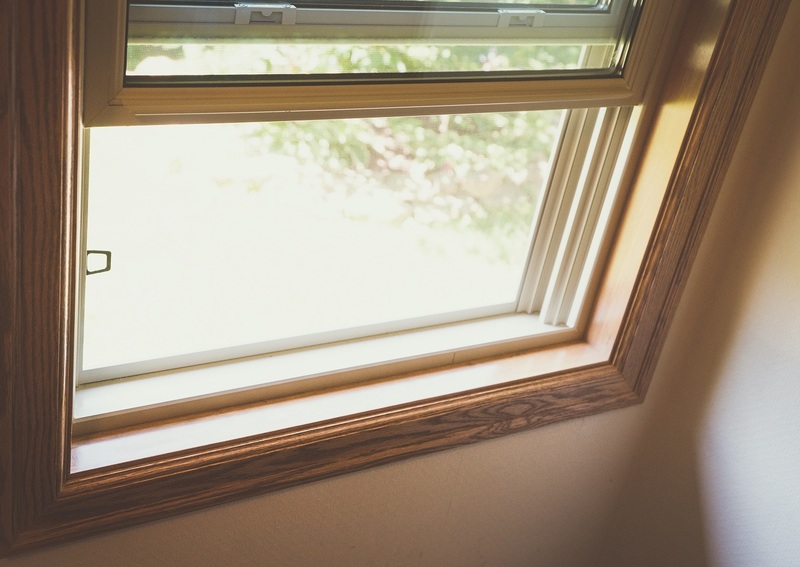 Double Hung Window Perks: A double hung window can be identified by the two operating sashes that maneuver up and down with the ability to tilt in. At a quick glance, a double hung window will appear to be a pair of small windows stacked vertically on top of each other. Their versatility makes them rank among our top selling styles because they work well with most architectural styles. One of the reasons homeowners, such as Bruce and Jean, gravitated towards this window style is that they are convenient to clean. Both sets of sashes can angle in, creating the ability to wash the window’s interior and exterior while standing indoors. Their configuration also allows for optimal ventilation with the opening of both sashes. 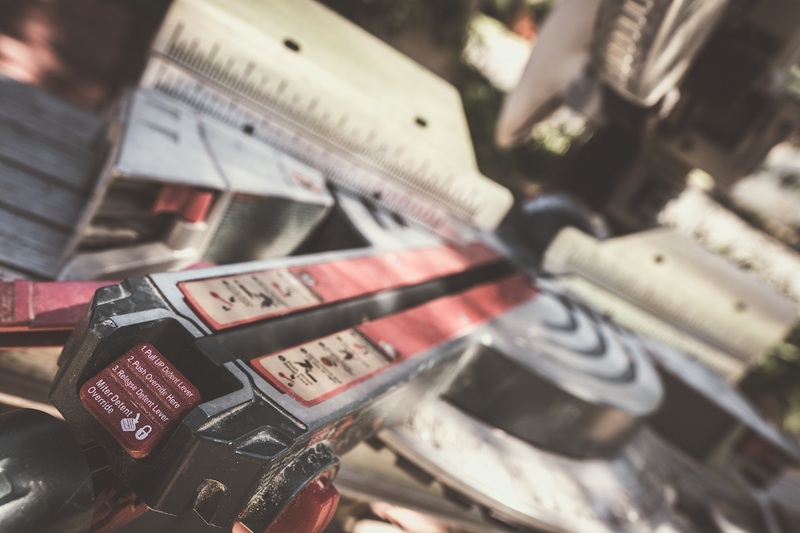 Using a miter saw and box ensures angles are precisely cut. We custom painted and cut this project's window trim. 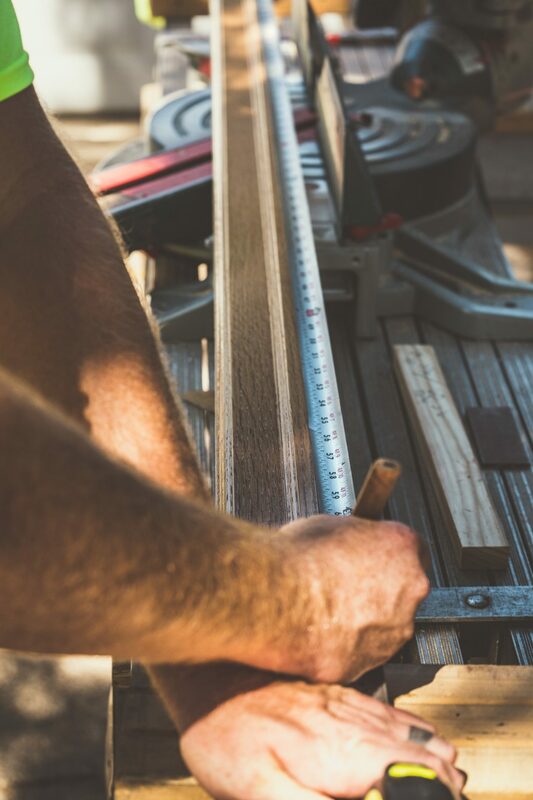 Cutting the interior casing to precise measurements. 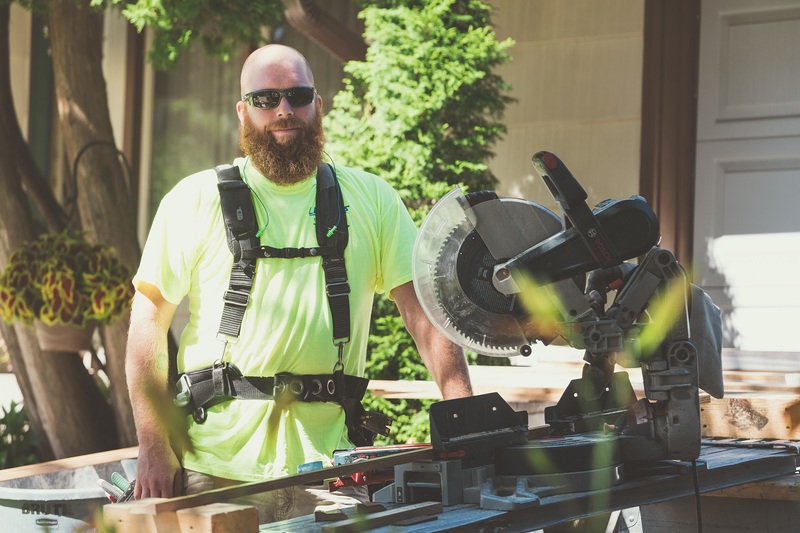 Our window installer, Jim, using a miter box and saw to cut the window trim. 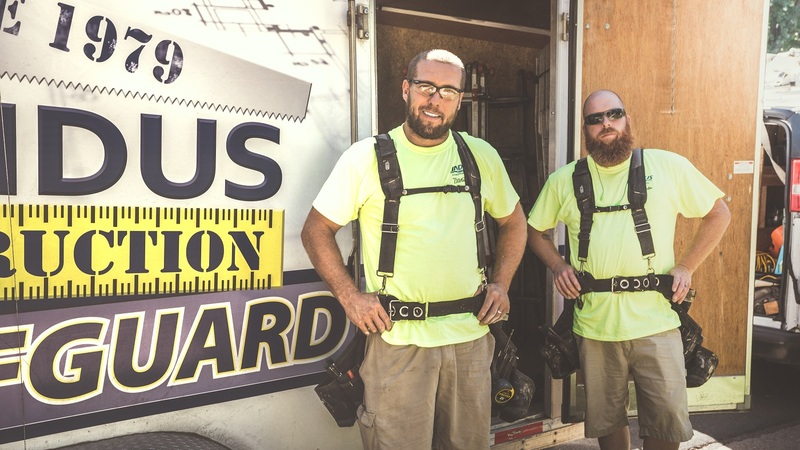 Jake and Jim have been working as a window installation team at Lindus Construction for nearly a decade. 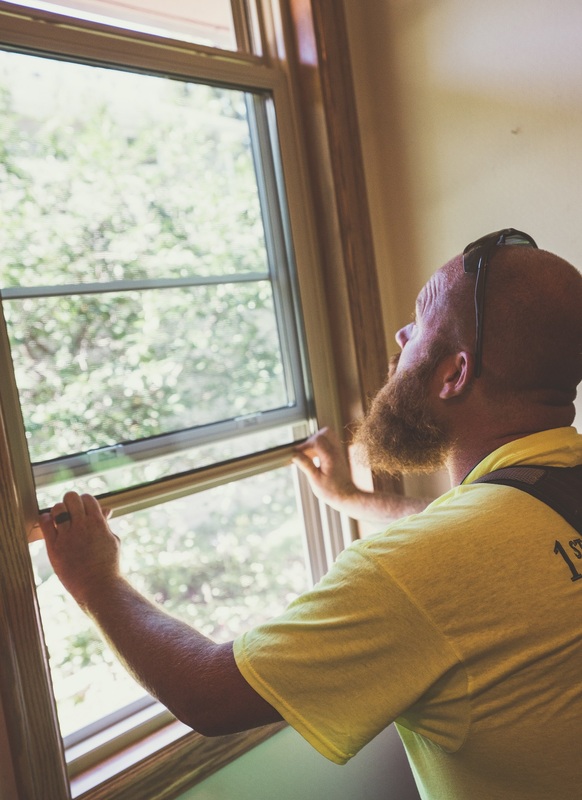 Window installer, Jim, verifying the double hung window operates as it should. Here's the SeasonGuard double hung window with custom trim. Here's an exterior shot of our completed work. "Work was done with a great attention to detail. I am very pleased with the results." - Renee E.
"Overall everything went smoothly. The installers were very professional, cleaned up every day in their work areas and were great to deal with." - Reed J. The faded aluminum siding on this historic home was hindering its curb appeal. Learn about the exterior transformation that changed the look of this historic home. When Sandy & her brother inherited their mother's home, they knew updates would be needed to attract a potential buyer. Here's how we were able to assist.